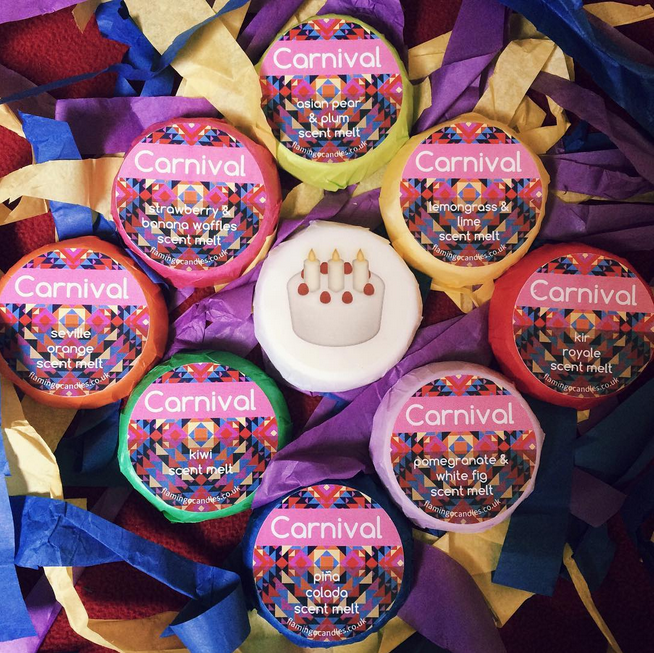 The Melt Crowd from Flamingo Candles Review – August – Shell Yeah! 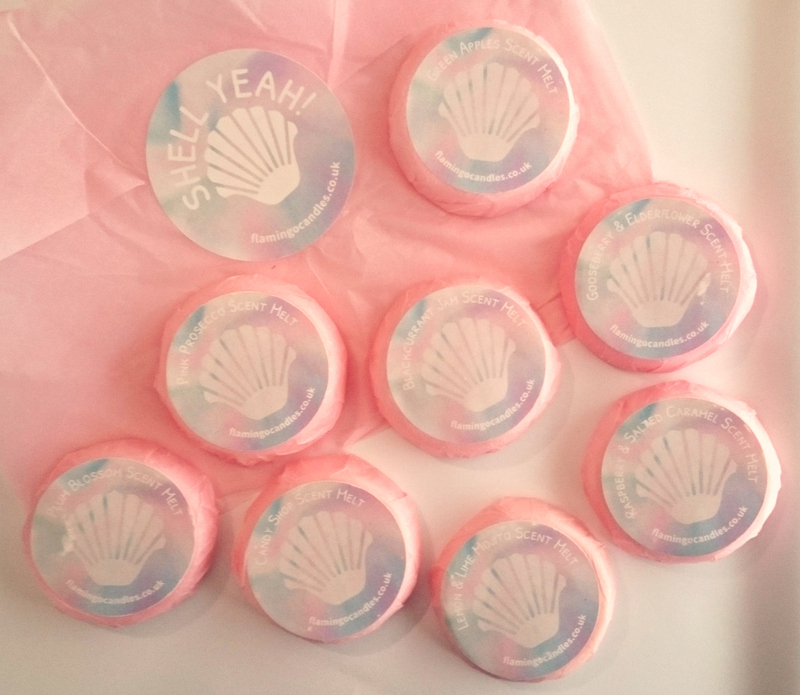 We’re both part mermaid (also part unicorn) so we got super excited when our Shell Yeah mermaid, girly, beachy, themed Melt Crowd Boxes arrived. When we saw the scent selection we knew it was another winner from our buddies at Flamingo Candles. They’ve been really knocking it out of the park this year. In case you don’t know already, The Melt Crowd is a monthly wax subscription box from Flamingo Candles. Each box contains eight delicious Scent Melts. The individual fragrances are a surprise – they include a combination of old favourites, current scents, new yet-to-be-launched scents and scents exclusive to The Melt Crowd. With your first box as a member of The Melt Crowd, you’ll receive a wax burner, to ensure you’re fully ready to explore Flamingo Candles’ amazing scents. You’ll also get a 20% discount code too with every box. SCORE! So what scents were in this month’s box? If you don’t know already, The Melt Crowd is a monthly wax subscription box from Flamingo Candles. Each box contains eight delicious Scent Melts. The individual fragrances are a surprise – they include a combination of old favourites, current scents, new yet-to-be-launched scents and scents exclusive to The Melt Crowd. With your first box as a member of The Melt Crowd, you’ll receive a wax burner, to ensure you’re fully ready to explore Flamingo Candles’ amazing scents. You’ll also get a 20% discount code too with every box. 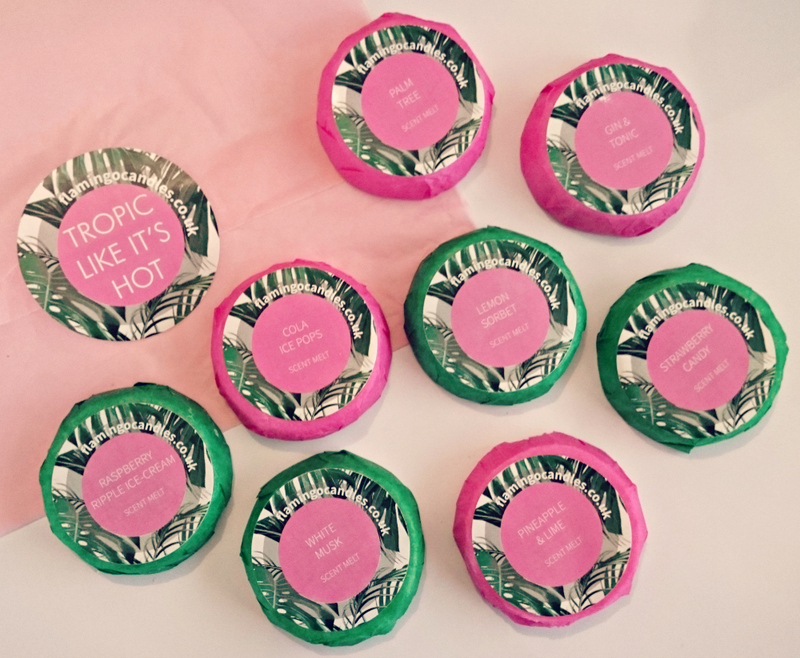 June’s Tropic Like It’s Hot box was definitely another winner for us, we especially loved the fabulous pink and green palm tree packaging, made us want to run away on holiday somewhere palm tree-ey. So what scents were in it? I cannot believe that it’s basically June, I’m not complaining, as I have lots to look forward towards the end of the year. I do hope that the summer doesn’t drag on, I’m not a fan of heat or sunshine, I’m all about snow and lack of sun! 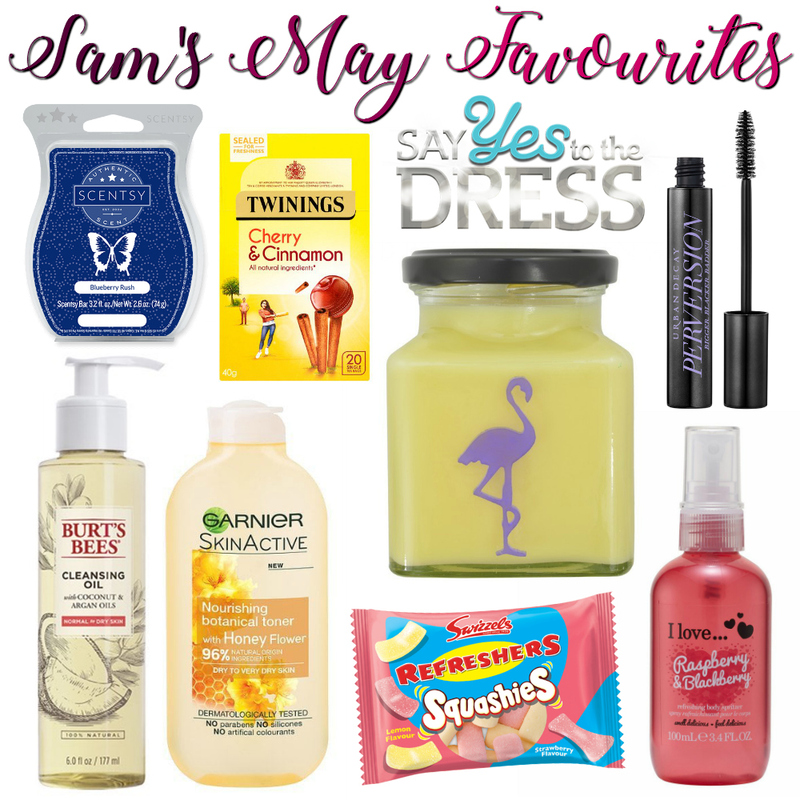 Flamingo Candles sent us another Melt Crowd box to try out and review, we’re especially giddy about this month’s box as it features some of our all-time favourite Flamingo Candles scents. Plus an extra special birthday melt!